Just as it’s important for us to check the state of your workplace health with an HR audit, it’s crucial that the health of your workers is in tip-top condition. The cost of sickness absence, turnover and your reputation as a good employer can all be a affected by unhealthy staff. Did you know that sickness absence costs UK businesses just under £30bn every year? What you want is for your workers to be happy and healthy and for that to impact your business in a positive and productive way. from rewards for cycling to work and the supply of healthy breakfasts to holistic wellness toolkits for dealing with stress and encouraging a positive company culture – one of the best ways to do this is to introduce a company healthcare policy, the implementation of which has been found to reduce sickness absence by more than 80%. Starfish People is proud to offer wellbeing and healthcare policies through Claire Byrne at WPA Healthcare Practice PLC. A not-for-profit health insurance organisation, WPA – in their own words – has been providing “access to the sort of healthcare we want for ourselves and families” since 1901. WPA offers personal and business health insurance policies that have revolutionised healthcare in the UK. From funding cancer drugs not readily available on the NHS to being recognised by the World Health Organisation as leading in the development of new policies that reduce costs for clients. Whether it’s paying for dental work, covering a trip to the optometrist, chiropractic care, prescriptions or a cash-plan that rewards you when you opt for an NHS procedure rather than going private, WPA offers it all. Giving their members the choice of where, when and who provides their medical care and treatments, they’re an insurance provider who is there for you. Full members of the British Franchise Association and adhering to its Code of Ethics, the Healthcare Practice holds itself to the highest professional standards. 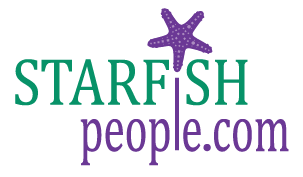 Starfish People’s long-standing working relationship with WPA has shown that we share values as customer-focussed businesses that listen and means we can recommend them for the very best business health insurance policies. Complete the form below to find out more about healthcare policies with WPA or to request a quote from Claire our Healthcare Policy Advisor.